This is the kind of post that is very difficult to write. After all, where do you begin when you wish to honor a person so influential in your life? 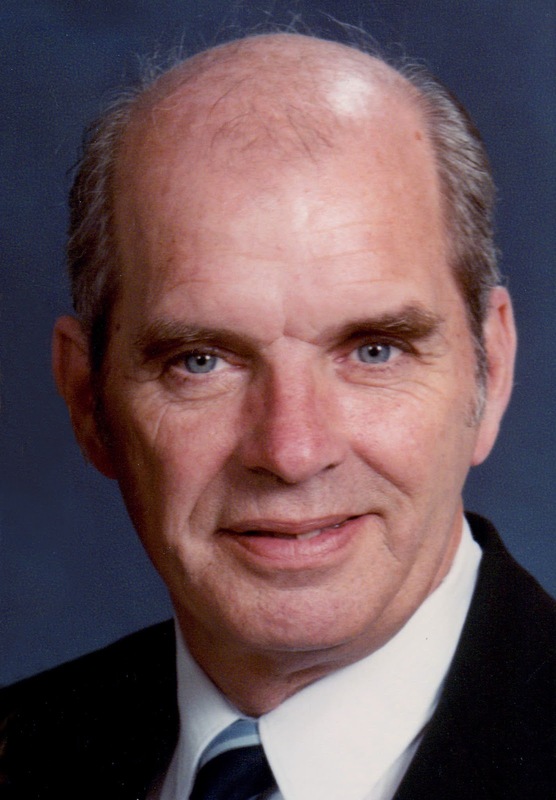 I lost my dad last Friday. For the past five years or so, he'd been suffering from Parkinson's disease. It stole him from us at 9:30 PM, June 19th. I was there. I fed him his last meal. I held him when he struggled to breathe and was there when he breathed his last. I'm so very thankful for those last 5 hours we spent together. I wish you could have known my dad. He was fun, he was goofy, he was intelligent. He was relentlessly inquisitive. And if I ever wanted to understand how something worked, he’d patiently go through the theory – and often show, hands-on, how things worked in practice. One of my favorite preteen memories was how he would make a game of grocery shopping. "Keep a running total of what our bill will be," he'd say. "And don't forget to add tax!" Not so easy in Texas: only non-foodstuffs like toothpaste were taxed. Oh and the rules of the game prohibited you from writing anything down. Can you imagine the charisma it took to make something like that fun? Then there was the time we 'bonded over bondo' - and a whole lot of rust that came along with my very first car. And yes, as a matter of fact, I do know what a butterfly valve on a single chamber carburetor looks like, thank you very much. My dad was one of the very first aerospace engineers. Ever. 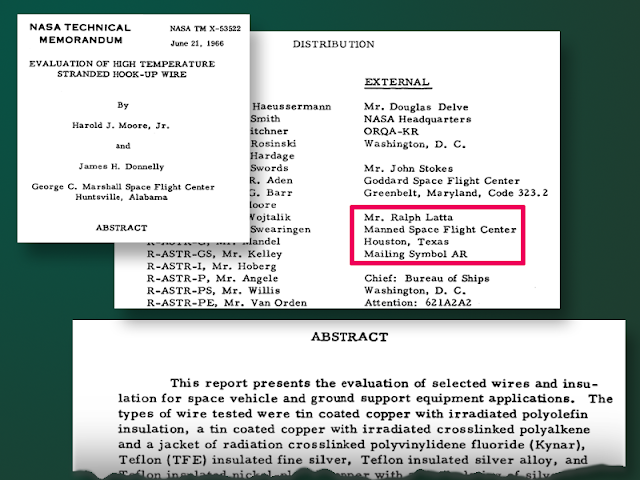 Aerospace engineering wasn’t a curriculum or degree path back then. At that time, it was in its infancy, still being invented. And he was one of the ones who helped define what that would be, along with the others of that era who paved the way. 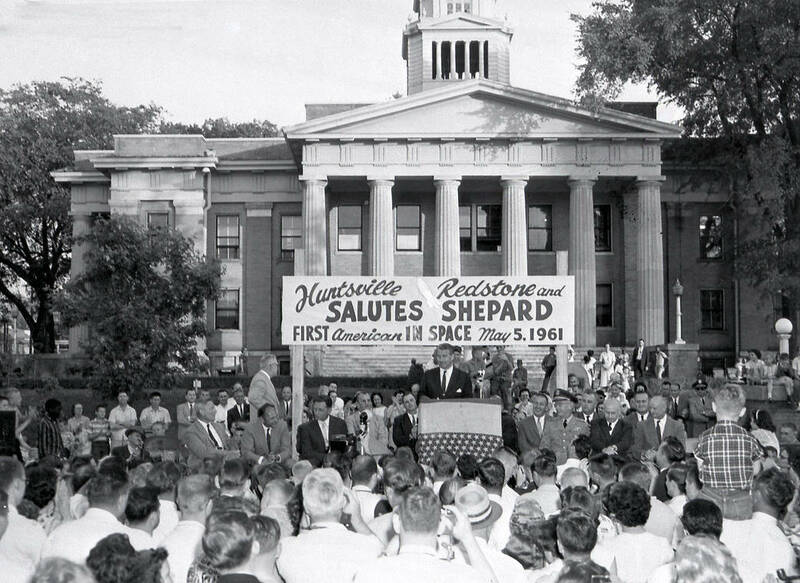 He was part of the team that moved from Missile Command in Huntsville, Alabama in 1961 to open the Manned Spacecraft Center in Houston. 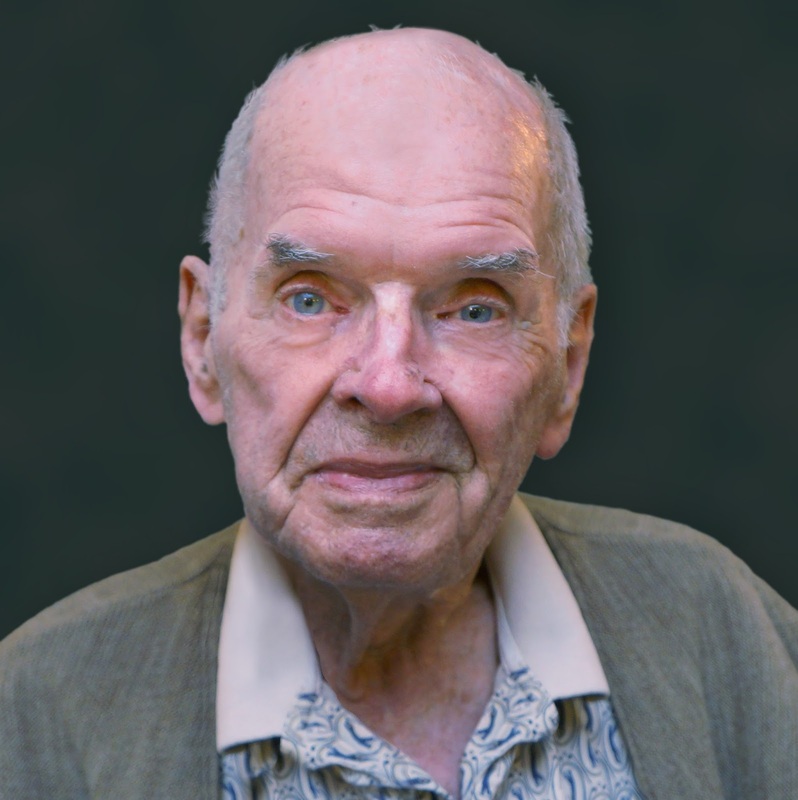 He was responsible for flight safety during NASA’s Project Mercury and the Gemini and Apollo Programs. The astronauts and media darlings such as German scientist Werner Von Braun might have been the face of space exploration, but quiet men like my dad who worked tirelessly in the background and ensured that it actually happened - they were its soul. Some of my favorite memories were of the times my dad took me with him to work. I was – and still am – in awe of everything they accomplished back then. With not much much more than their brains, a pad of paper and a slide rule, they figured out how to split the atom and sent men to touch the surface of the moon. And when things went wrong, they pulled those slide rules out and did on-the-spot calculations that would amaze engineering students today (you know, those kids who can’t part with their TI-86s…?). It's hard to grasp that the computing power available to all of NASA in its entirety back then was less than that of the cell phone I hold in my hand. To this day, I cannot fathom why he trusted me to keep my grubby little hands to myself and actually allowed me inside Mission Control. Not on a day while it was in use (!!) but still, those computer consoles ... I was leaning against them, touching them! 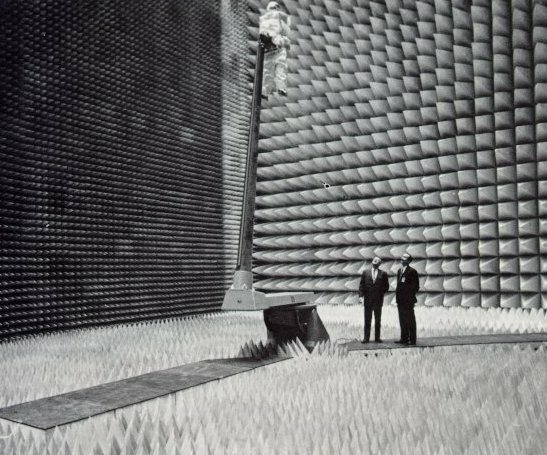 And then there's the massive Anechoic Chamber at the (now) Johnson Spacecraft Center. 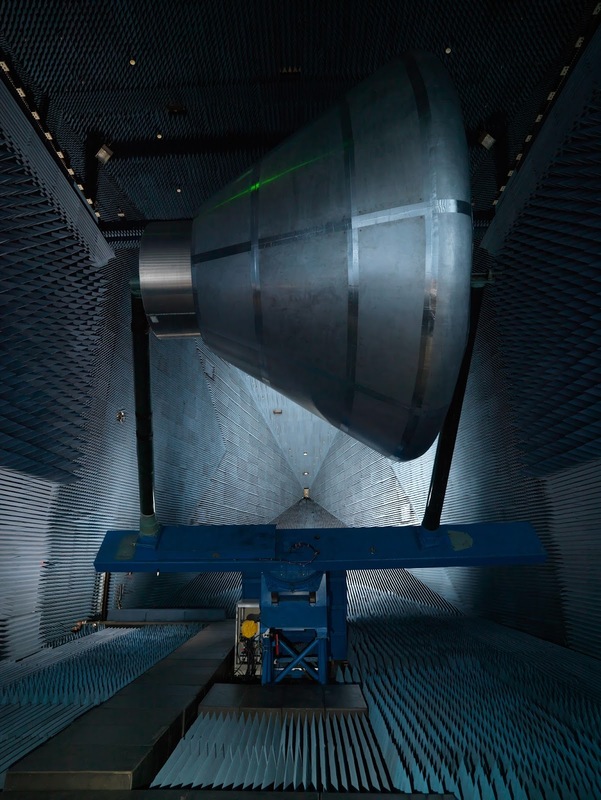 It's a huge room, filled with microwave material that absorbs all electromagnetic energy. The best I can describe it is that it sounds “dead” in there – all sound is absorbed by the cones fastened to every surface. The entire back wall is a bay door that slides open. To this day, I’m fascinated by how they are able to extend their testing range beyond the chamber's four (five? six?) walls. Even the grass is mowed to a specified tier of heights! The Anechoic Chamber today - still in use, still testing antennae & other equipment. This photo was taken from the big sliding door, looking back into the room. He knew tons of cool trivia about the space age, things not worthy of any major publication but interesting nonetheless. Like the reason there were 3 astronauts in the Apollo capsules. It began in a brainstorming session, when a coworker and architect named Bob Moody sketched it that way. No one told him to do it, there was no task force that was charged with determining the best number of men to send to the moon. Just an idle sketch while brainstorming. No one ever saw a reason to change it or I'm sure it would have. But that's how it happened. It was little things like that, I think, that fascinated me the most. 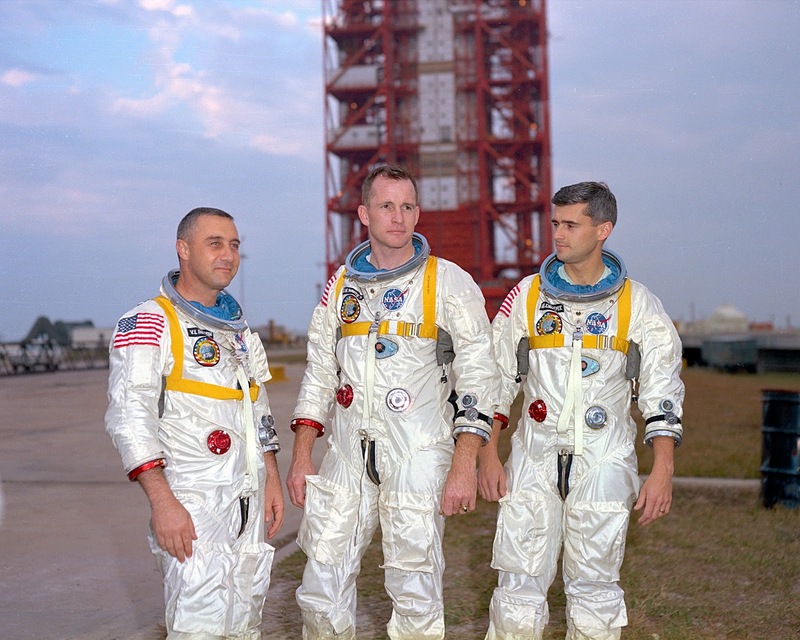 One of my earliest memories is going out to watch the astronauts skydive. I think it was then that my love of flight was born. My dad knew all the astronauts. Usually, he claimed, because they were in his office yelling at him for grounding them for one reason or another. My dad told me he once marched an astronaut out to a test craft he'd refused to allow the man to fly, because the explosive bolts on its ejection seat had passed their “expiry date.” He blew them, just to make a point. Only half of them fired. Astronaut Ed White was a man my dad enormously respected. He also happened to be Senior Pilot for the fated Apollo 1 mission. His death at the Cape impacted my dad tremendously. 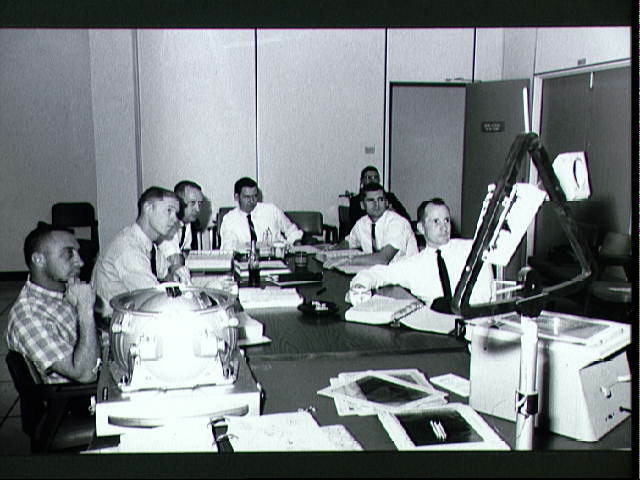 Flight Safety was involved in the discovery task force to determine the cause of the accident that killed Apollo 1’s crew. Listening to what they labeled the “Seven Minute Tape” – the length of time it took for the astronauts to perish – took a heavy toll on everyone involved. He taught my mind to be nimble, he taught me to view numbers and mathematics as a fun puzzle, and – beyond all else – he instilled in me the unshakeable faith that if I could dream it, I could do it. We spent countless summer nights in the backyard, on lawn chairs or in hammocks, looking at the stars - just looking. Only I suppose it wasn't really "just" looking, because that's where he taught me about trajectories, how to tell time by the stars, to identify all the constellations and how to recognize space junk as it passed in the heavens above. And we had "Skylab dates" - my mom, my sister, my dad and me - where we tracked its progress overhead. Those were such wonderful memories. And to this day, one of my favorite things to do is to seek out a dark night sky, and just sit back and stare up at the stars. In the 1970s, he moved from NASA to Tracor, a defense contractor best known for developing the Aegis ballistic missile defense system and the Minuteman penaids for the Department of Defense. Most of his work there was classified. And in the 80’s and 90’s, he was at Bergstrom Air Force Base in Austin. He was one of the very last men there, shutting off its lights when he left – and it closed – in 1993. We shared a deep love of books and it was my joy to send his Kindle fresh stories every few months. In our talks during these last several years, he’d often want to know if I’d begun reading a certain book yet. Or he’d want me to let him know when I came to a certain part in a book we were both reading – he could hardly wait to discuss them with me. He and Marty hit it off from the start and my stepson has many fond memories of engineering projects in our garage: my dad, my husband, my stepson...and me watching! And when I completed my first solo flight, no one cheered louder. He couldn't wait to fly with his daughter, the pilot. So much of a person’s sense of self and identity is wrapped up in what they accomplish in life, but it’s equally important to know the character of a man. My dad was kind, endlessly patient (okay, almost endlessly!). He was gentle and he loved animals. He was faithful. And to walk modestly with your God”. His life has had a profound impact on mine. He taught me that a woman’s reach, too, should extend her grasp. And that, if I wished, I could touch the sky. One of the last things I told him last Friday was that it looks like he was going to get to experience faster-than-light travel first. And that soon, he could touch the stars. I am so sorry for your loss. Your father was an amazing man. All that has been written and published about the race for space, and your dad was a huge part of it. He lived it. He made history. He will live on because of what he accomplished in his lifetime, and because of the love you have for him. Thank you for baring your heart strings here and sharing your precious Dad with all of us here in blogville. Our unfurs and pawppy are engineers, and those unfurs are like you said...unlikely to know how to use a slide rule...not sure if they actually even know what they are! Pawppy does, he is of an earlier generation, MOL! What a man of many talents and a most wonderful Dad. Sending many comforting hugs and the kitties and dog-guy add their purrs and soft woofs too. He sounds like a wonderful person. We're so sorry for your loss and send big hugs. Such a beautiful tribute. I was also close to my dad. I know the pain you are feeling. Hold the beautiful memories close to your heart. In time you will find ways to push the images of him in his last days farther out in your memory banks and replace them with happy times, of which you have many. Let yourself grieve. I tried to skip that step, and it put me in a deep, dark place I never want to see again. It's been 11 years since my dad passed away, and it still hurts. It doesn't get any better- it's just different. But I am better at handling the memories and putting into perspective what my dad would want me to remember- the incredible bond and love we shared as only a father and daughter can. My thoughts and prayers are with you. Wow. Your tribute to your father made my human weepy - what a special, special man he was! And what an amazing father. You are so very lucky to have had him as your dad. A wonderful beautiful tribute, Lisa! You have so much to be proud of in your father, what he did and who he was. Your love for him as a dad shines through. Your Dad sounds like a wonderful person ! I am so sorry for your loss. He was such an amazing man and loving father. Sending warm thoughts and hugs to you. What a moving tribute to a remarkable man. The head peep had to wipe away tears to read to the end. It's clear that you had a really special relationship with him. I am so very sorry for the loss of your father. This is an amazing story and I am so glad to have "met" him. It sounds like you had a great childhood with a scientist Dad and his involvement in the Space Program. May your memories continue to sustain you. What a great post about your Dad. He sounds like a truly amazing person and father. I am so sorry for your loss. What a special man your father was! Thanks so much for sharing him (and your memories) with us. A heartfelt tribute. I know for certain that we never lose the people we love, even to death. They continue to participate in every act, thought and decision we make. Their love leaves an indelible imprint in our memories. Your Dad was the best. Lisa I know words are very shallow at a time like this but I am deeply sorry for you loss. You gave a wonderful tribute to your Dad and his love for you shown though each step of your life path with each other.I know it is not necessary but I can tell from your words that he is so proud of you and you will always carry him with you, literally and figuratively. There is never enough time and we always, always want more. Thinking of you. The love the two of you shared just sings from this tribute. You are a very lucky daddy's girl. Nothing can truly fill that loss but do know that all of us here are thinking of you and send lots of warm thoughts and soft hugs. 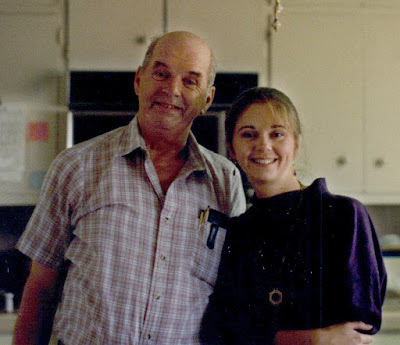 I was a daddy's girl too and it does get easier as time goes by. My father died 15 years ago and I now smile when I think of him rather than cry. What a beautiful tribute to your father. He sounds like an amazing man and a very special dad. It's wonderful you have such incredible memories of him. Our thoughts and purrs are with you. Oh Lisa... this is so beautiful, so moving. What a loving,inspiring and fun relationship you had with your dad. I really enjoyed learning more about him. Our fathers were from that same era... so humble, so proud. I love what you said about people like your dad being the 'soul' of the space program. I'm so happy for those last few hours you had with your him. And for what you had together your whole lives. You are in my thoughts and my heart. You're an inspiration to me and I'm just so proud to call you my friend. A beautiful tribute, Lisa! It sounds like he was an amazing man. You and your family are in my thought and prayers. Such a beautiful tribute. The Woman has tears, although really it is because the memories remind her of her own. But there is something about having been in those situations that makes it so important to honor those men who started all of that--with tools most kids today couldn't even recognize. Just wow. Our thoughts to you in this time of loss. But what a legacy your father is a part of and will live on in--forever. What an amazing man and what special memories you have. 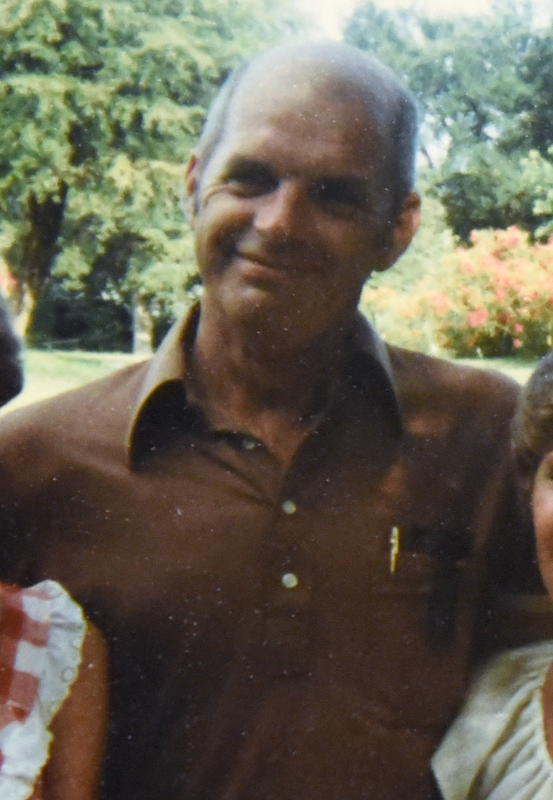 Mom's dad passed away from Parkinson's in 2001. She was in Germany and talked to him on the phone he passed a few minutes after they hung up. Dads and daughters have such a special bond. Cherish all the wonderful memories. Who could ask for a better tribute than this? As a kid (and now an old lady! ), I *loved* the space program--and not just the astronauts! I loved all the nerdy guys in their white shirts with their pocket-protectors who sat in rows at consoles in that big room. Space exploration always seemed to me one of the only things we do that takes us out of our petty concerns and turns our eyes toward the future. Kudos to your dad for his part in this great human endeavor -- and for his being such a great dad, too! So sorry for your loss. What a beautiful lot of sweet memories you have! Thank you for sharing! Mommy had an uncle who worked in the aerospace industry, only in California. We are blessed that such men lived and worked to give us the desire for knowledge and the way into space! What an amazing man he was, and what an amazing daughter you are. That is a lovely tribute to your Dad. He sounded like a wonderful man. While you will miss him so much, you will always have those beautiful memories. I've been at a loss for words as to what to say, as I want to be wise, and comforting and all of that, but sometimes simply showing up is enough. My heart goes out to you at the loss of someone so obviously incredibly dear to you, but also takes comfort in the closeness you had. Something so many people do not have with their own parents. May the beautiful memories you have comfort you during this time of mourning, and bring you comfort in the years to come. Ah Lisa you have us all leaky over here. Your Dad sounds like an awesome person, and not just becuase he created such a sweet and loving daughter. We're so sorry for your loss, wish our purrs and hugs could ease your pain. Love to you! We are so sorry to hear of your loss, Lisa. This is such a lovely and beautiful tribute to your dad. It's clear he was an amazing man, and that his legacy lives on in the lives of all who were blessed enough to know him. Sending purrs, prayers and love to you and your family. Beautiful tribute. Thanks for sharing. Moms and Dads are both special. But Dads are unique in their way. They can be demanding, but open the outside world to us. Dads say "dare to" when Moms say "stay safe". Dads teach you dangerous things. Not demeaning Moms in any way but this is about Dads. Dads let you set off fireworks, they show you how to handle knives. They show you you can grab toads. They get you riding your first bicycle. Usually. My bike story... When I was 9, I got my 1st bike. I was scared to death of the thing. Had training wheels for a couple months. But one day Dad removed those. He said it was time to learn to ride the bike without them. For a week, he held the bike upright from behind while I learned to pedal. And then one day he wasn't holding it... He had let go to allow my to fly on my own. Moms do that too, in their own ways. But sending me off unsupported on my bike was kind of a Dad thing. He let go of me when he thought I was ready. How he knew the right time, I have no idea. But he did, and my world expanded from my street to the whole neighborhood. They help you learn about the dangerous things about the physical world. They show you how to use a hammer and a screwdriver. They sometimes "act" unforgiving when we make mistakes. They forgive us our mistakes. They dont remind us of our mistakes TOO often (knowing that we remember them all too well ourselves). Some people lose their Dads young and some at middle age. I lost my Dad when I was 64 and he was 92. I had the benefit of all his years of experience. I understand your loss generally, but I can never understand it personally. No one can. Each Dad is different. Each relationship is unique. Here is a cheer to all Dads and the sadness of their loss. Thanks for letting us have your dad--when he wasn't raising a remarkable daughter--so that our lives could be changed forever too. Such a beautiful tribute to your dad. He sounds a truly amazing man that you are rightly so proud of, and he has left you a lifetime of wonderful memories My thoughts are with you. Lisa, what a beautifully written, heartfelt tribute to your dad. I had started reading it on the train and had to stop because I started crying. I'm sorry I just got back to commenting now. You have such wonderful memories of your dad that wil live in your heart forever. I lost both my parents before I was 40 and my dad was the second to go. I thought my world would end when he passed because he was my life. Take time to grieve and heal. And after that celebrate his life, his memory, and all that he has given you. You'll feel his love again by doing that. Oh, dear, your dad was certainly special. What a wonderful example he set and what great stimulation for your mind. He left you such happy memories to hold close until you meet again. A warm hug, purrs and paw taps. Lisa, thank you for sharing your wonderful, delightful, brilliant father with me. My father was also an engineer from the same era as your father. I also was always in awe of his intelligence and knowledge knowing there were no calculators, computers etc. in his day. His mind reached for great things and he always taught me that a wasted mind was a wasted life; my father like yours, taught me to reach for the stars, reach for great experiences. When he died, I felt lost. He was a gentleman who led by example and there seemed to be too few gentlemen,too few gentle people to lose him, ever. It took some time, but now, I hear his words often; all his little adages and words of encouragement pop up unexpectedly when I need them most.He continues to be here with me as I move through life and reminds me every day that I am his daughter and that I will always choose well with my head held high.I know this will be true for you too, Lisa. May your father rest in peace, may you live on knowing he lives in you , always. I am sending you my heartfelt condolences and love. Beautifully said of a beautiful man. We are saddened by your loss. Godspeed.